When your job involves a lot of repeated shipping transactions, sometimes it's the little things that can make big improvements. 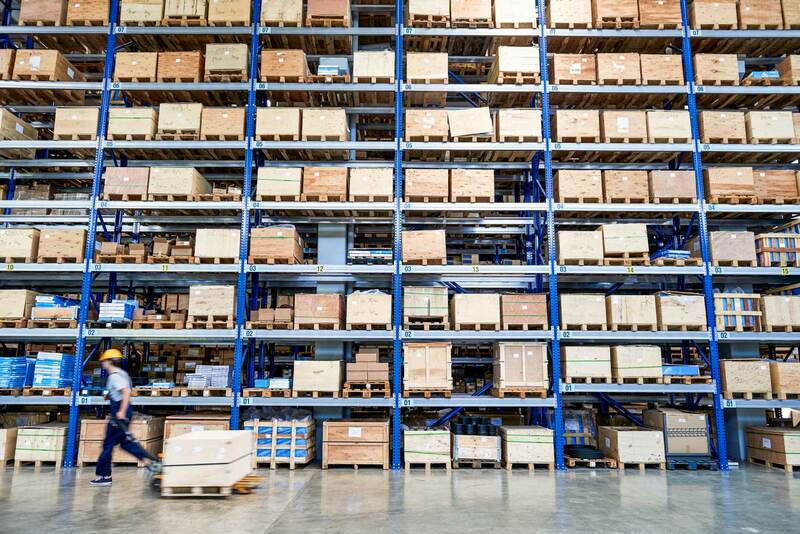 At Pacejet we know our job is to provide ERP and carrier integration that eliminates as much duplicate data entry as possible AND to support shipping workflows that are easy to learn but flexible for changes mid-stride. 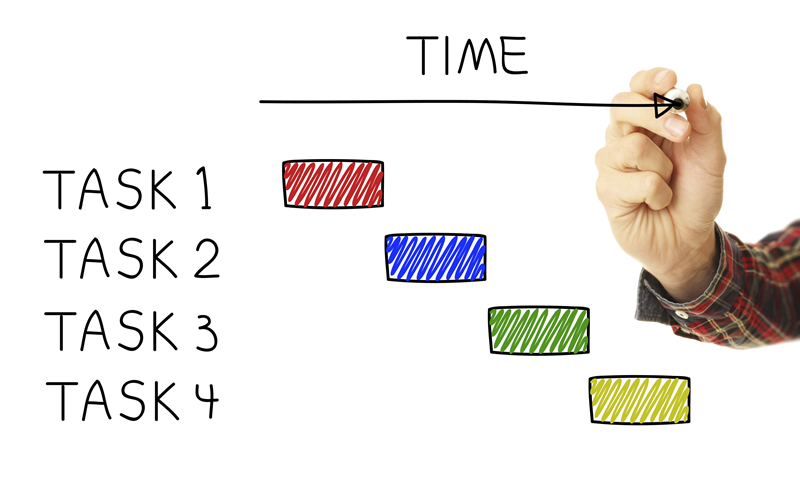 While we keep working at it every day, it can be tough to find the "perfect" workflows when some people prefer accelerator keys, others drive with a mouse, some users are new, and some are experts. For today's post, we thought we'd take a look at some of the most popular usability features in the latest version of Pacejet and also preview some new usability features in the upcoming Pacejet 15.2 release. While most Pacejet features are accessible through a menu option, there are alternate ways to reach pages or menus with fewer keyclicks. For example, you may have noticed that some areas like the Rate and Ship or Shipping Workbench pages have "Keyboard Shortcuts ?" help tips at the bottom of the page that describe a set keys you can press for one-click access to specific features or menus. Other favorite usability tools include shortcut links available in key areas to allow users to "skip ahead" or "jump directly" to common actions. Favorites are also a way to create your own shortcuts, of course, to the features you use most often. Not every usability feature works well for every user but our goal is to provide enough variety so that each of your users can find options that best-fit their personal needs. 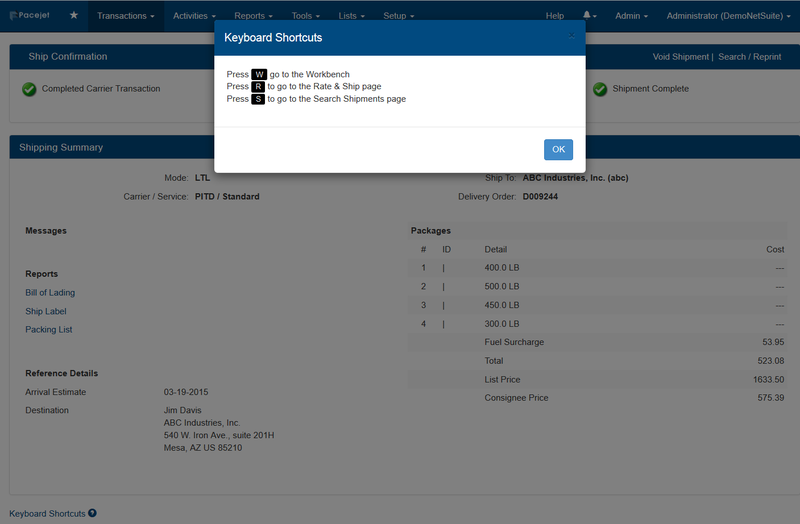 Popular keyboard shortcuts on the Rate & Ship page include the "R" key to instantly rate a shipment or the "S" key to rate, select, and process a shipment. Editing keys like the "P" key, instantly open the packages section to add or change container details as a quick way to move ahead. While the individual keys are useful, also keep in mind that you can combine the keys in quick succession --- press "P", clone a few containers, press "R" to view rate-shopping results, press "S" if you like what you see and want to ship. Another tip is to experiment with keyboard shortcuts that move between pages, for example using the "W" key on the Shipment Confirmation page jumps you back to the Shipping Workbench or you could press the "S" key to jump to search shipments and reprint labels or documents for the last shipment. "Shortcut Links" are more visible than "Keyboard Shortcuts" since they appear as hyperlinks in Pacejet, either on page title bars or in content. The Void and Search shortcuts on the Shipment Confirmation page are a couple of popular examples. The Shipment Confirmation page also includes dynamically generated shortcuts such as links to documents if you want to view them online. The Favorites menu was a new feature last year and most people know it as being very similar to the standard favorites feature available in all web browsers. You might not, realize, however that the Favorites feature allows you to create links to external resources and web pages not just Pacejet internal pages. Another useful aspect of Favorites is to save links to the Shipping Workbench with a Search (e.g. 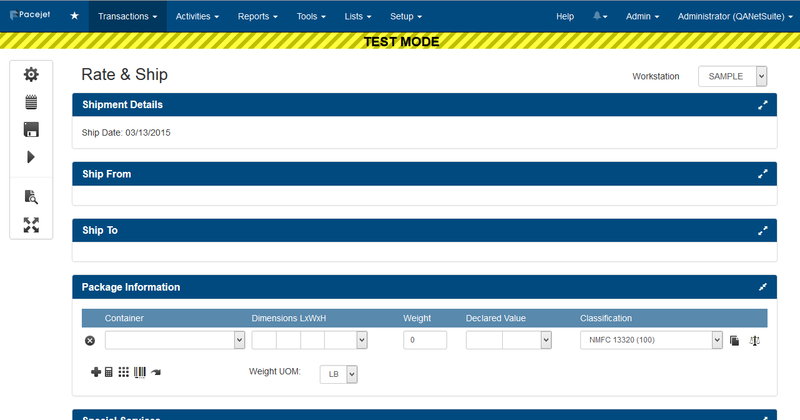 a favorite to the "Today" tab on the Shipping Workbench) so that the page loads and the search executes in one click. In a similar way, you can create Favorites that link to the Rate & Ship page and load a predefined template automatically. Usability features have been popular, so Pacejet 15.2 introduces some new ones and new variations on existing tools. For example, a new Scale Auto Read option works with existing scale integration to automatically read the weight from a scale connected (for the active workstation) into the first container when you open the rate & ship page. 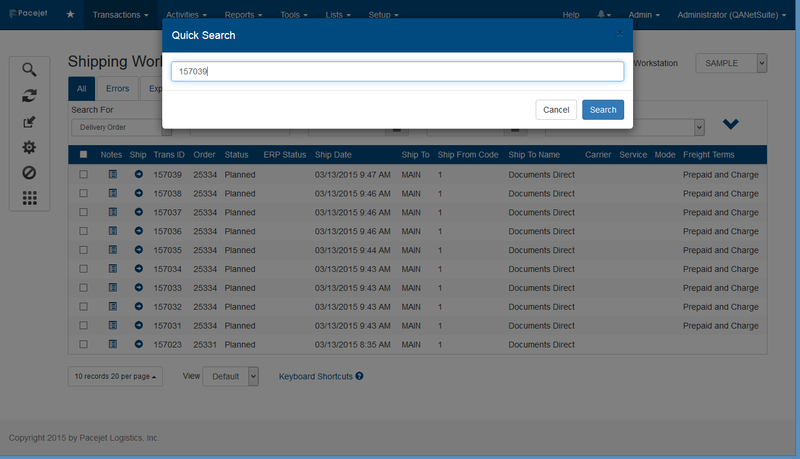 An example of a new setting with a new feature includes the new Scan and Pack Hard Stop option, which forces users to press a key to clear scanning errors in the new Scan and Pack module. The new Pacejet 15.2 version also introduces refinements to supporting features like document and label printing. For example, a new documents control area allows Pacejet administrators to more easily setup, test, and activate new documents with rules. Rule Name access now references a set of predefined expressions or custom expressions created by our services team. You'll also notice a new option to suspend printing of carrier labels, useful if you're using the new combined packing slip and label document. Another helpful setting in 15.2 is a new "Test Mode" control that displays a very visible banner throughout the application. Test Mode doesn't currently affect application functionality but it does make it very clear to users when they are logged into a system that is considered test (often a sandbox account). This feature could also be useful if carriers are not set to a production status as a clear indicator that testing is permitted. The last new 15.2 setting we thought to mention in today's post is the new Global Quick Search key. This handy Keyboard Shortcut allows you to press the "Z" key to activate a search box from anywhere in Pacejet, scan in an identifier for a shipment, and then instantly jump to either the Rate & Ship screen (if only one shipment is located by the search) or the Shipping Workbench (if multiple shipments are identified). 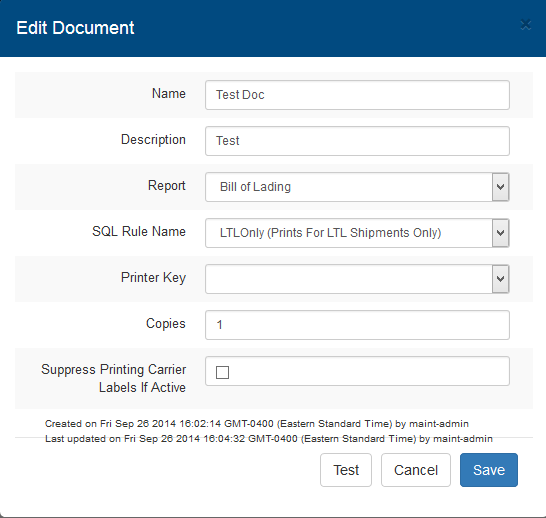 Users who run rapid scan and ship type workflows will find this a useful way to rapidly move through shipments. As the list of new configuration options and settings has grown, customers having been asking us for greater access and control over the user experience. In response to this need, Pacejet is introducing a new Appsettings area in 15.2 with access to many existing and new controls, settings, and options. We expect to continue expanding these controls, so please keep sending in your usability ideas and suggestions! Learn More or Have an Idea? Interested in learning more about usability features, Pacejet 15.2, or other Pacejet features? Contact us today at 877-722-3538 or via pacejet.com.